All the digital assets you work inside Pics.io service are stored in your Google Drive. You can manage your Google Drive account by selecting “Google Drive” in the Settings menu in the top right corner of the main Pics.io screen. Here you can see the statistics of your Google Drive, i.e. how much space is used by your assets/free/occupied by trashed files. You can also find here the statistics for your Pics.io folder within your Google Drive, i.e. the total number of assets stored inside Pics.io folder, and their type (photos, videos, other files). The latter is marked with color. These statistics are visualized in the form of a pie-chart, where the outer circle and the inner circle represent the data for your Google Drive and Picsio folder respectively. At the top of the screen you can see which Google Drive account is used by Pics.io. 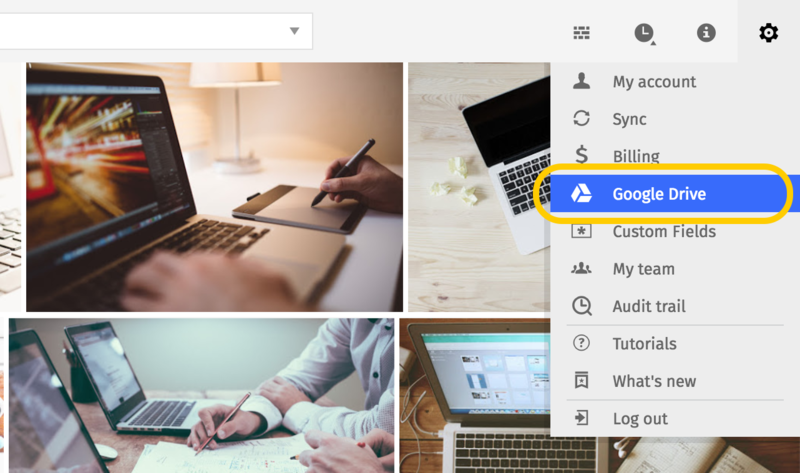 If you want to connect it to a different Google Drive account, press “Change” here. However, you have to understand that you will lose your access to your current library in Pics.io., and this change is irrevocable. Here you can also see which which working folder inside your Google Drive account is connected with Pics.io. You can also press "Change" to replace a working folder. Be careful, though. If you choose this option, you will lose your access to your current library in Pics.io., and this change is irrevocable. So, to be on the safe side, we recommend admins not to give their teammates the permission to change either Google Drive account or Working folder. Read more about team roles here. Whenever you upload changes to your files in your Pics.io folder inside Google Drive, make sure you synchronize these changes with Pics.io service. Learn more about synchronization tool here and here. Please note that this option may be hidden from certain team members. You can find more information on team policy here.